Having difficulty accessing notifications on Galaxy Note 9? The gorgeous 6.4-inch 18.5:9 aspect ratio Infinity Display can present that problem to users with small hands. 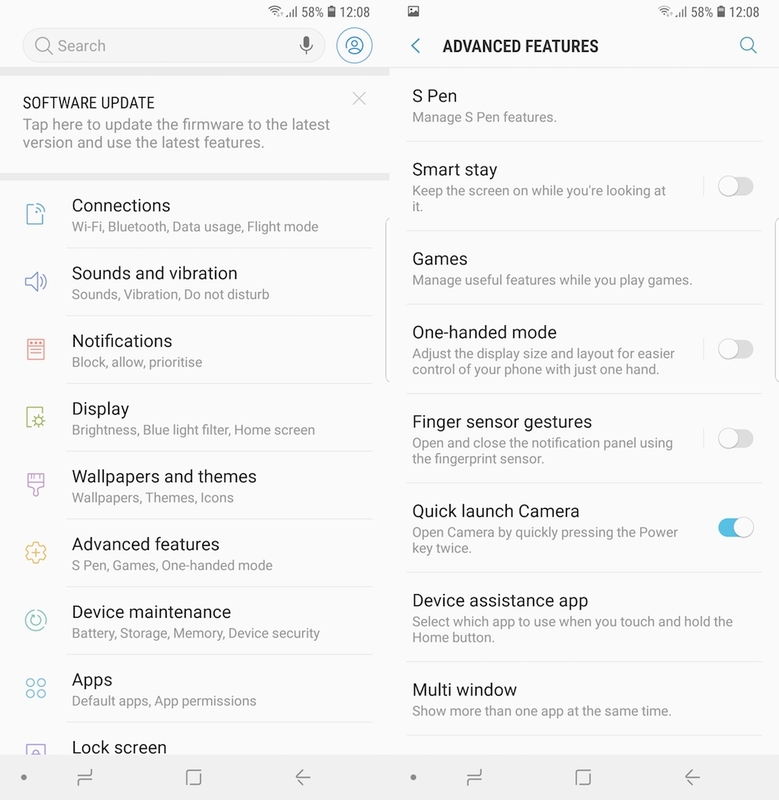 If this worries you then fret not as there’s an easier way, you just need to enable swipe-down notifications on Galaxy Note 9. Samsung’s love affair with extra-tall aspect ratio displays started with the Galaxy S8 – the device that introduced its Infinity Display. It has stuck with this design change since then for all of its flagship devices. The Infinity Display has even trickled down to some affordable devices as well. No complaints, since the increased usable screen space is much appreciated and the device itself looks gorgeous. The Swipe-down notifications feature lets you use the fingerprint sensor at the back to pull down the notifications shade. You don’t have to reach all the way to the top of the device. Just swipe down on the fingerprint sensor and it opens notifications. This feature is not enabled by default so you have to go into the Settings app to enable it. Once this feature is enabled, it will let you swipe down on the fingerprint sensor to open the notification shade. Bear in mind that this functionality is paused with the sensor is actively detecting the fingerprint. In simple words, it won’t pull down notifications when you’re using it to scan your fingerprint. 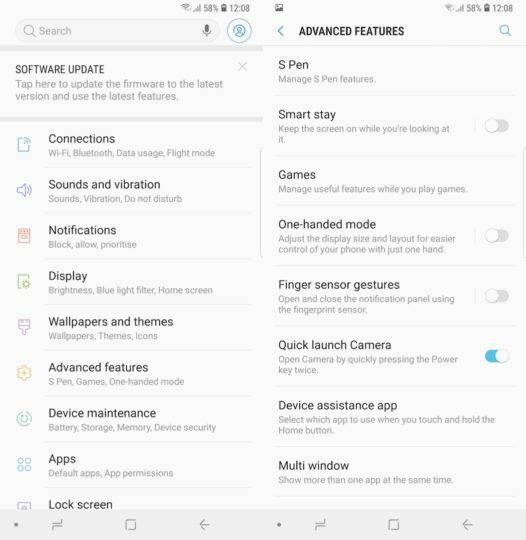 This minor tweak in the Settings app makes it much easier to access notifications on the Galaxy Note 9. It’s particularly useful for those who find it difficult to reach the top of the display. 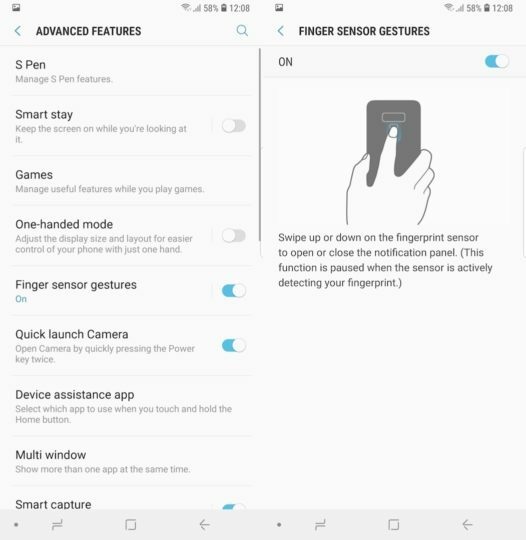 Have you enabled the finger sensor gestures feature on your Galaxy Note 9? I enabled it, but with a case on I tend to smudge the camera while swiping down. Without a case is easier to do. I don’t do it now, I have swipe down anywhere on the home screen enabled, it’s better.